ESVAGT’s Safe Transfer Boats add flexibility and value to the SOV concept. When ESVAGT’s next SOV, which is being built at the Cemre Ship Yard in Turkey, goes into service for MHI Vestas at the Belwind Offshore Wind Farm, it will be doing so with the latest generation of ESVAGT’s successful Safe Transfer Boat, STB12, on board. “We have gathered together the good experiences we have gained throughout the first year of servicing the Butendiek and Baltic II, and have adapted the design to suit the customer’s wishes as much as possible. Among other things, this means that we have optimised the fenders, used a different type of bow door, redesigned the machine room hatches and optimised the cargo area, where we have improved lashing and set down,” says Bjarne Mikkelsen. 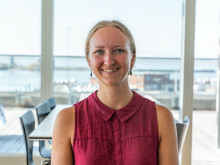 The STB12 concept has proven to be far more successful than ESVAGT dared hope, and more than 10,000 transfers have been completed by STB12s alone over the last year. “At the same time, they complement the whole SOV concept excellently. The STB helps ensure efficient operations as the STB12 is classified as a separate vessel and can therefore sail in to harbour. 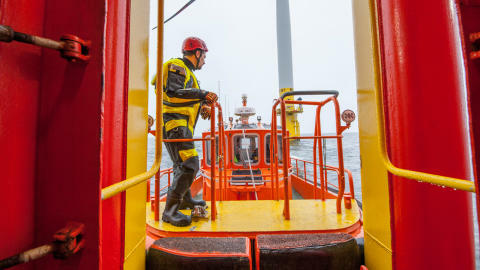 The ’Esvagt Wind 2’, for example, is in port two to three times per week to collect pallets of goods or transport specialists and technicians out to the wind farm. The customer can therefore keep the SOV at the wind farm to continue working on transferring technicians, tools and spare parts via the walk to work gangway or the slightly smaller STB7s. This increases flexibility and gives a more efficient use of time,” says Bjarne Mikkelsen. In addition to the STB12, the SOV for MHI Vestas will also be equipped with two ESVAGT STB7s with bows specially designed for wind turbines. Safe Transfer Boats (STB) are central to ESVAGT’s SOV concept for efficient operations in offshore wind farms. The STB12 is approved for entering a harbour, reducing expenditure on Crew Transfer Vessels (CTV) to a minimum.